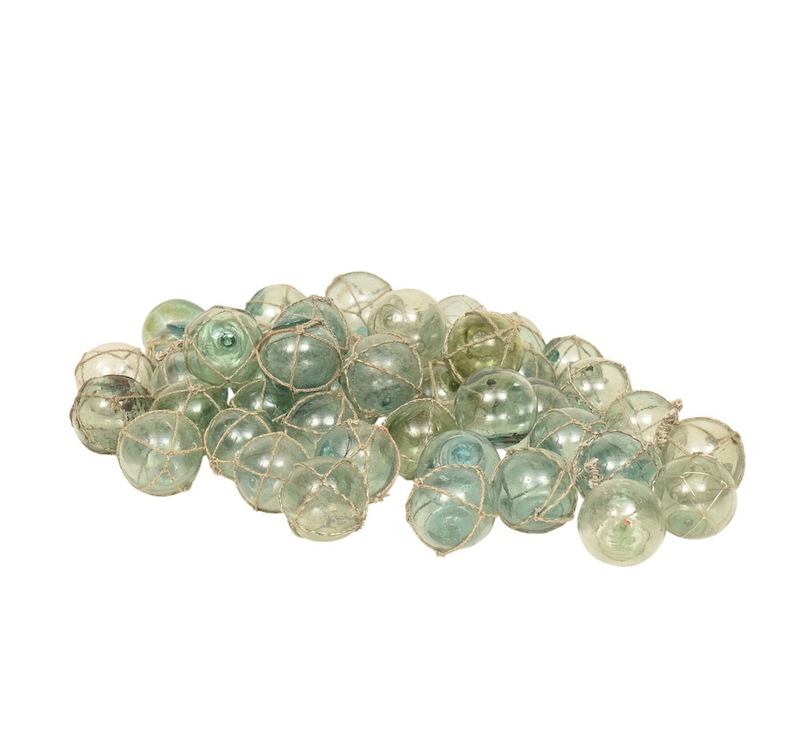 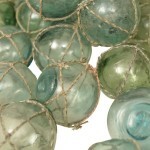 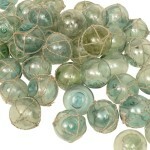 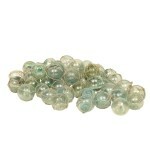 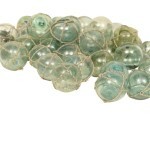 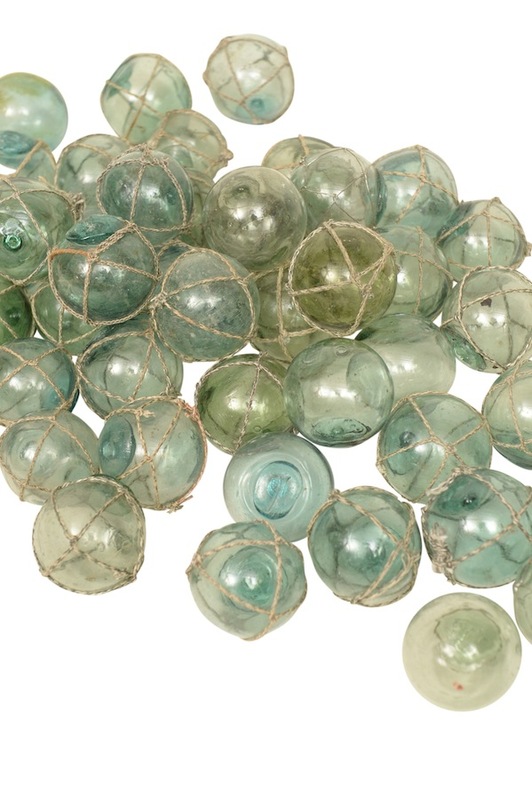 Rustic blue-green glass globes with netting. 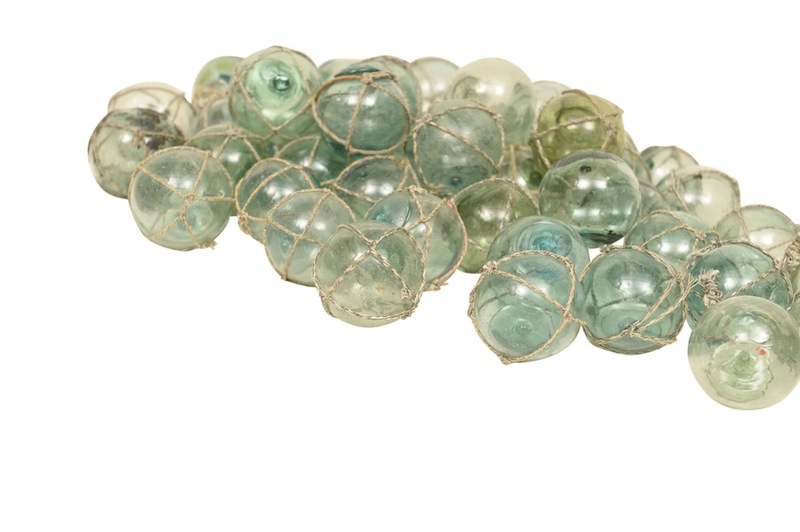 These would be a perfect display piece for a nautical themed event or photo shoot. 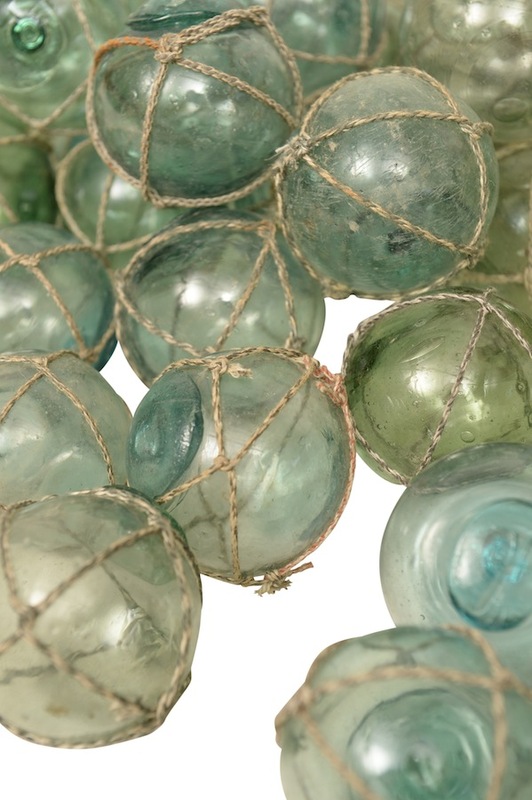 Size may vary.